Sharing with Paint Party Friday! The bay painting is so pretty and peaceful! And the yellow flowers are really coming to life. If this is out of your comfort zone it doesn't look it! 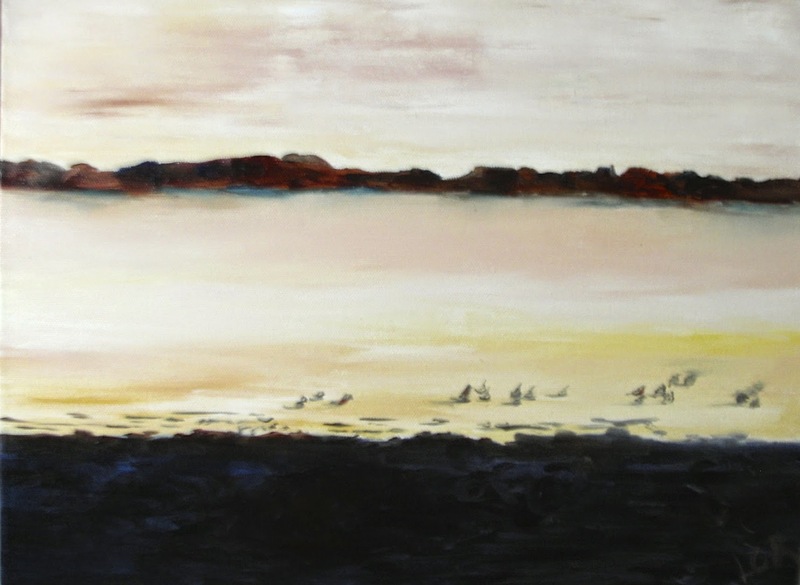 The bay painting is so engaging and beautiful. If you are out of your comfort zone with the tulips it doesn't show. Very nice work. Hi Joy, CIndy and Valerie - Thank you for dropping by and such lovely comments! Your paintings are beautiful. 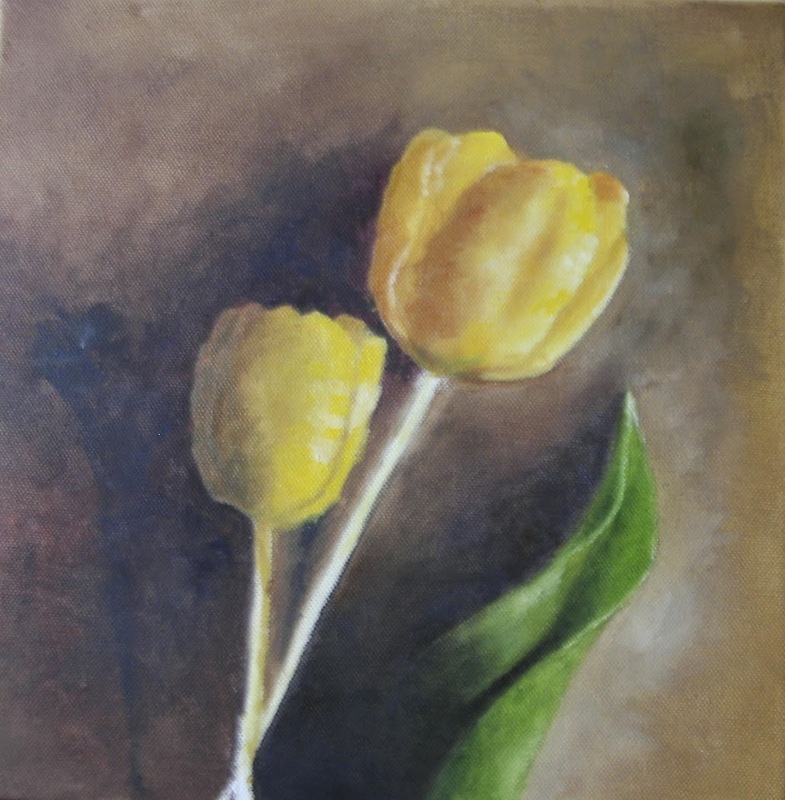 I really like the tulips-out of your comfort zone but certainly not out of your skill. And how green and lush your backyard is!!! Wow your paintings are truly lovely. I love your comments! I read them all, and I will do my best to reply to you here! xo L.
never miss a post - easy email! Original art and prints available - Click below! Grab my art in a button! On Facebook? Come visit me there!